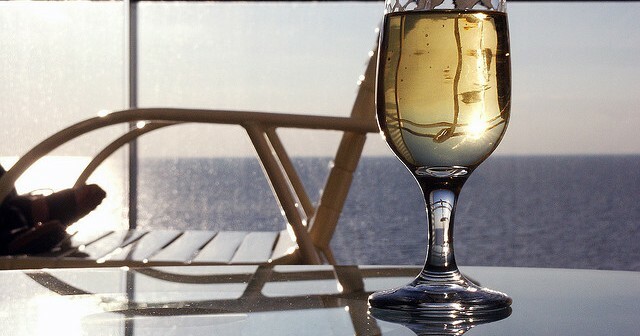 There’s nothing quite like sitting back with a glass of vino while watching the sunset over the open ocean. Sound like your idea of bliss? We agree! And while any glass is a good glass, not all drops are created equal. 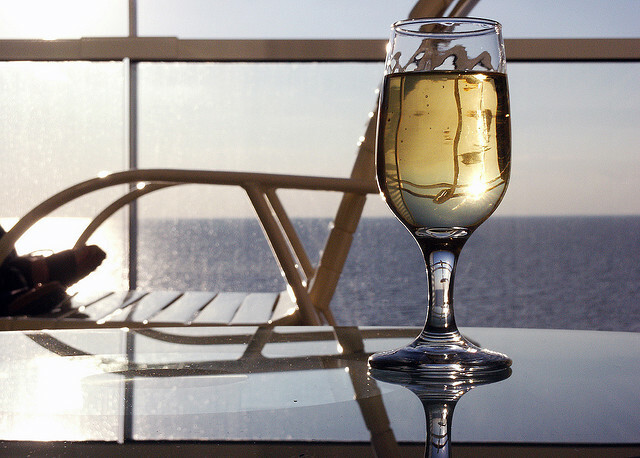 If you’re a cruiser that knows a good drop when they taste one, read on for our pick of the top cruise lines for wine lovers. When Carnival announced that they’d commissioned celebrity wine lover Kathy Lee Gifford to hand select its on-board drops, passengers knew they were in for a treat. Over the course of her career Gifford has developed a passion for fine wine, and has even created an exclusive ‘Gifft’ collection in conjunction with Scheid Family Wines. Enjoyable, affordable and highly rated by Wine Enthusiast magazine, the range is now available to purchase on all Carnival ships, by the glass or the bottle. The Chardonnay is one of our personal favourites, described as a perfect blend of rich and refreshing. With a wine bar developed by celebrity sommelier Olly Smith, P&O’s latest fleet member is a vino lover’s paradise. On-board Azura passengers will be able to sip on no less than 32 different wines in the beautifully appointed Glass House Bar. Considering most restaurants offer just three to four options, this is an incredible opportunity for passengers to branch out and try something new. Our top picks include the sparkling Peller Ice Cuvee with hints of pear, apple, honey and spice, as well as New Zealand’s wonderfully herby Blind River Sauvignon. Those with an appetite can sample dishes from the gourmet menu which offers wine recommendations for every dish. Glass House goers can also embark on a series of themed “wine flights” designed by Olly Smith himself. From luxury drops to timeless classics, there’s a flight for every punter. When it comes to wining and dining passengers Azamara doesn’t do things by halves. Its ships have dedicated, glass enclosed Wine Cellar vaults where passengers can commission an expert sommelier to help choose the perfect drop for their evening meal. Wine Corner gatherings in the Mosaic Café are the perfect way to meet like-minded wine lovers and discuss the merits of the cellar’s impressive inventory of limited production, small label and rare vintage wines from across the globe. On-land, Azamara offers its guests a myriad of wine themed Land Discoveries excursions. From winery tours and tastings to immersive experiences and historical explorations, there is something to delight every wine enthusiast.